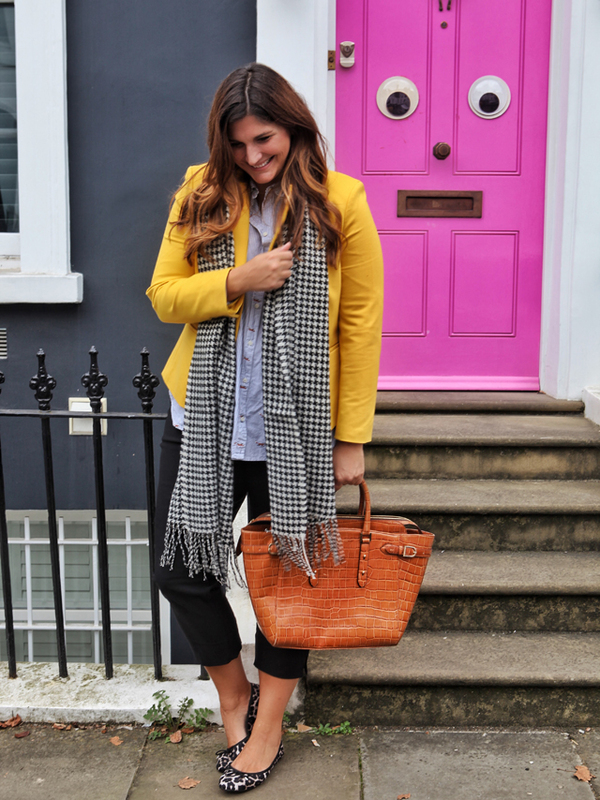 There's a pink door in Notting Hill, off the beaten track. 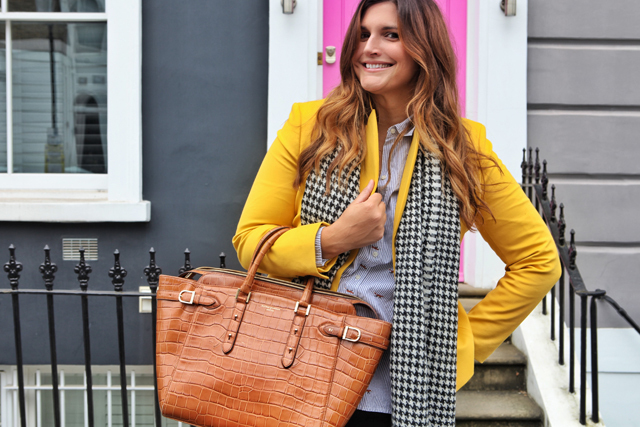 It's not something you'll find as you're swaying down the Portobello Road. No, this pink door exists out of the tourist common areas, and is only discoverable by those who choose to go further afield and stray from the pack. 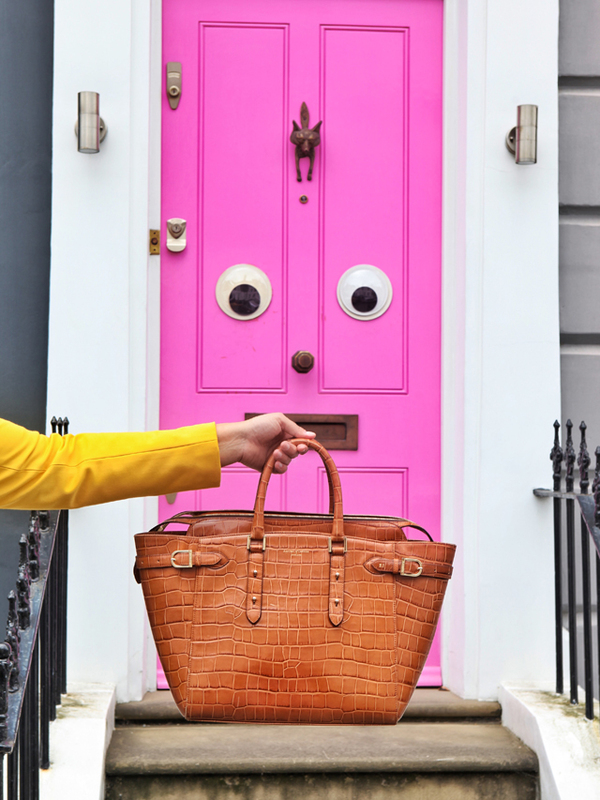 While the little blue door may be famed for its moment in the movie Notting Hill, for me, it's all about the pink door with the googly eyes. And no, I'm not going to tell you exactly where it is. I'm going to tell you that you need to weave through Notting Hill like your headed towards Holland Park and you'll trip upon it. It's worth the wander. And that's it, that's all I'm saying! 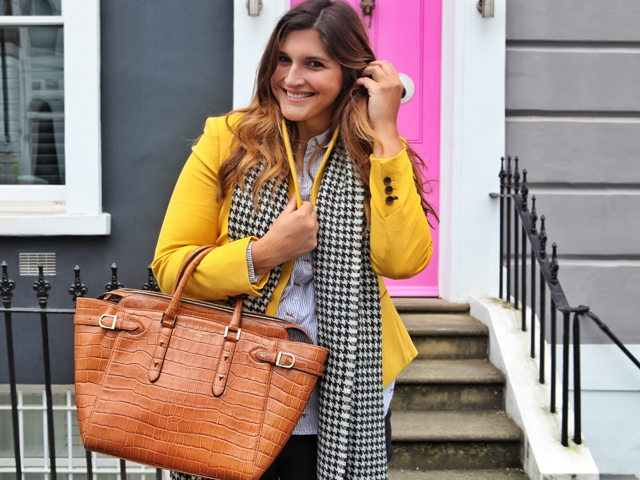 I will, however share outfit details, as this was captured on the way to a meeting in the neighbourhood and it's kept me smiling ever since, that I managed to be as colourful as my favourite door on that fateful day.